Two celebrated stars of the opera world join forces for a thrilling afternoon of operatic arias and traditional American spirituals. The Associated Press hails Lawrence Brownlee as "one of the world's leading bel canto tenors," while Eric Owens has been dubbed an "American marvel" by the Chicago Sun-Times. 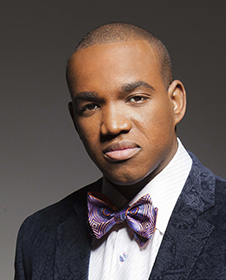 The most in-demand American tenor in the world in the bel canto repertoire, Lawrence Brownlee continues to astonish audiences with the elegance and agility of his instrument. From firmly American roots, Mr. Brownlee has become a star on the international scene, lauded for the seemingly effortless beauty of his voice. 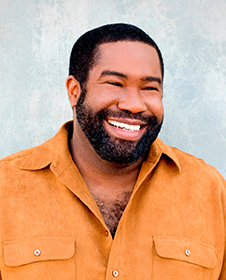 Bass-baritone Eric Owens has a unique reputation as an esteemed interpreter of classic works and a champion of new music. Equally at home in orchestral, recital, and operatic repertoire, Mr. Owens brings his powerful poise, expansive voice, and instinctive acting faculties to stages around the world. 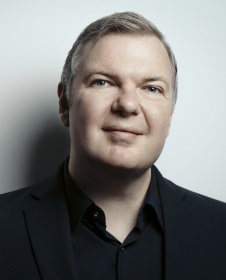 Lauded for his “sensitive and stylish” (The New York Times) and “superb” (Opera News) playing, pianist Craig Terry enjoys an international career regularly performing with the world’s leading singers and instrumentalists. Currently Mr. Terry serves as Music Director of The Patrick G. and Shirley W. Ryan Opera Center at Lyric Opera of Chicago after having served for eleven seasons at Lyric as Assistant Conductor. Previously, he served as Assistant Conductor at the Metropolitan Opera after joining its Lindemann Young Artist Development Program.